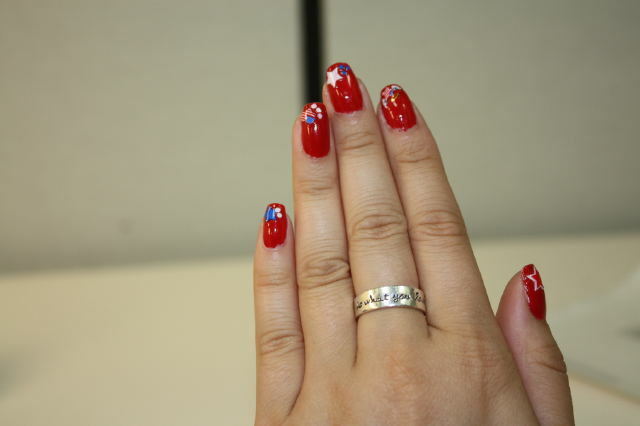 Asami used Nailene's Bedazzle Nail Art to create this 4th of July look! Jean used Nailene's Couture Nails & exclusive Fourth of July Nail Art! 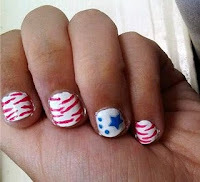 To get this look, Brooke used Nailene's Full Cover Nails & Nail Guides to create a sleek, white stripe. Ashley innovatively used Nailene's nail guides (usually used for creating French Manicures) to create this look! 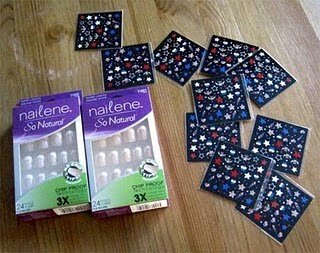 Stephanie also used Nailene's Bedazzle Nail Art to dazzle her nails! 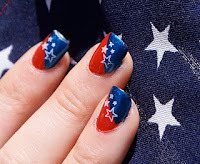 Check out Shansopink's Fourth of July look on her blog! 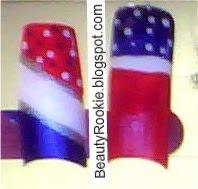 I have some red, white and blue glitter polish...somewhere! It's got silver star glitter in it. OK, off to find it before the 4th passes. 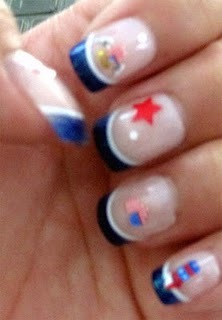 i saw ashley's nails on her blog and thought they were great. 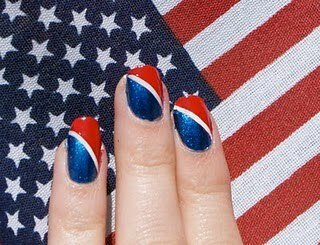 all these 4th of july looks are super! check out this awesome giveaway on my blog where you can enter to win a $25 gift card to spend on clothes and accessories! Here are some designs I did.